Freeform is revving up for Season 2 production of their hit series grown-ish. Starring black-ish‘s Yara Shahidi as Zoey Johnson, this spinoff follows the college student and the friends she meets along the way. And ahead of the second season, the network is upping Season 1 recurring stars Chloe Bailey and Halle Bailey (aka Chloe x Halle) and Luka Sabbat to series regulars. 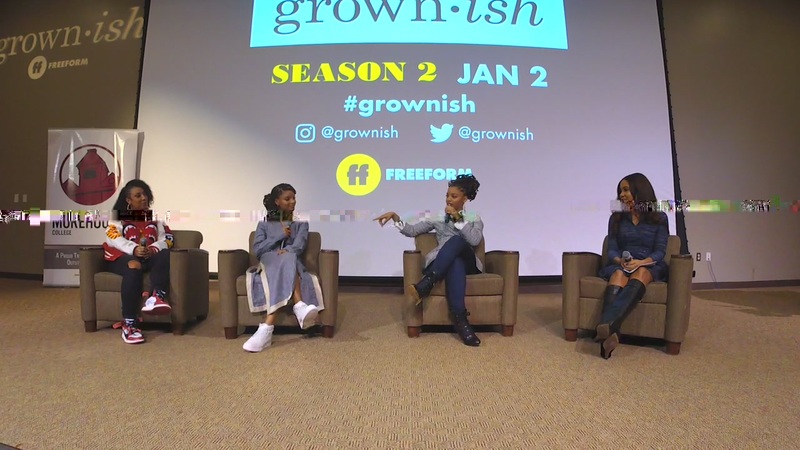 New episodes launch in January 2019, and grown-ish will also see the return of Trevor Jackson as Aaron Jackson, Francia Raisa as Ana Torres, Emily Arlook as Nomi Segal, Jordan Buhat as Vivek Shah and Deon Cole as “Professor Charles Telphy.” Additionally, Diggy Simmons will return in Season 2, this time as a recurring star. In this video, Morehouse College hosts cast members Chloe x Halle, Angela Yee and EP Jenifer Rice-Genzuk Henry to discuss the new season including dating in college and their passion as creatives. Previous articleRay J Goes To College… an HBCU!